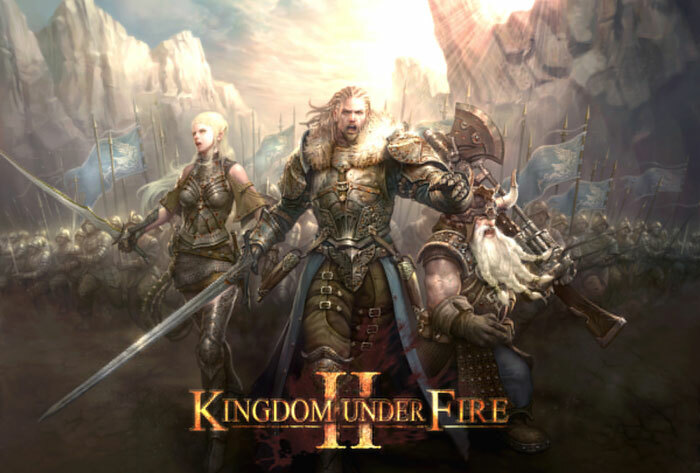 Kingdom Under Fire 2 (KUF2), the newest online video game is set to launch on April 2014 by Leadhope Digital Inc., a local subsidiary of Leadhope with headquarters in Hong Kong. The launch will start with an Elite Close Beta Test with only a handful of special guests invited, then followed by the Open Beta wherein everyone who registers for an account can play. And finally the Commercial Launch which features the opening of the Cash Item Shop where players can buy virtual items for real cash. KUF2 opens a new type of game genre termed MORPH (Multiplayer Online Role Playing Hybrid). It combines your classic RPG (Role Playing Game) elements while letting players take command of a massive army. The result is a fast paced action game unrivalled and epic in scale. Players choose a faction to join (Humans, Exiles and Dark Alliance), as you develop your Hero and recruit an army of monsters, mercenaries and more. Build your reputation with different cities to access more items for you and your army. If you like fighting with other players, KUF2 has PVP Battlegrounds, Gladiator Arenas and Castle Wars. See if you can win battles by overwhelming enemies with brute force or out-smart them by strategy. For those who prefer going on epic quests, they can embark in Monsters hunts, Village Raids, Rescue Missions, and more! KUF2 provides content for both PVP and PVE players. KUF2 features hundreds of different mobs and monstrous bosses that players will need to work together on to take down. The current maximum Level is 30, though new level caps will be released in the future. The game has all the key elements of an RPG game such as; Item and Armour Enhancements, Gem Socketing, Crafting and more. Tiered Armour sets and weapons show how powerful a player is. Gamers can give their playing experience a boost with cash items by topping up the KUF2 Prepaid Card or E-Pin found in your local card retailer or through several business partners nationwide. To see the complete list of retailers, go to kuf2.ph and click on the Top-Up link. KUF2 is a globally anticipated online video game title and is one of the most anticipated games of 2014. The global publisher Leadhope International Inc., has chosen the Philippines with its healthy market of 500,000 active players daily as the pioneering market to launch, creating new jobs for the youth. The Pinoy gamers will have a head start advantage in the global competition with tournaments regionally and globally. “Philippines is an important and fast growing market and we want to give the Pinoy gamers the best game and service.” – James Huang (President, Leadhope International). This amazing game is super high end, supporting 4k displays, and is coming out on the Playstation 4. But Pinoy gamers can enjoy the game on one of the 14,000 local Internet cafés scattered nationwide, or on their home PC’s. Computer requirements are not strictly as high, as it can support PC builds from 5 years ago even though its graphics is one of the best in the market today. To register for an account, go to kuf2.ph. Lots of events and activities await players. Be part of the social community by liking them on Facebook at kuf2ph.